Not long to the Scottish & British Open, come & discover Golf in the Highlands. 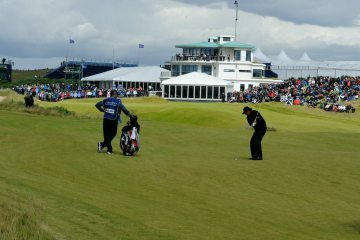 Whilst the pro’s have their eyes firmly fixed on the 147th British Open at Carnoustie Golf Club. 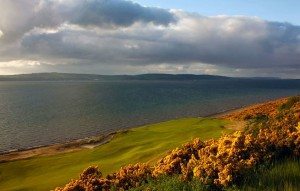 You don’t want to miss some of Scotlands most challenging, scenic and rewarding golf courses, all of which can be experienced around Inverness. Whilst many pro’s will be heading to Gullane, for the Scottish Open from 12th to 15th July. This year Justin Rose, Matt Kuchar and Henrik Stenson will be among the big names at the Scottish Open. Make time to enjoy your own Scottish golfing experience. Stay at the Best Western Inverness Palace Hotel & Spa, an ideal base for your golfing holiday. The 147thBritish Open will be hosted by Carnoustie Golf Club from 15thto 22ndJuly. Carnoustie is no stranger to the Open and has hosted many memorable golfing battles, the last open played there was in 2007. Carnoustie is the most northerly course on The Open Golf rota and has hosted the competition on 7 times. It has a reputation for being the toughest course on the rota. The closing 4 holes have produced many dramatic scenes. Golf is loved across Scotland and the passion for the golfing game can never be underestimated particularly in the Scottish Highlands. Perhaps that explains why some of Scotland’s most challenging, scenic and rewarding golf courses can be experienced around Inverness. Make the Inverness Palace Hotel & Spa your base for your Group Golfing Break and you can link here to the Group Golf Package for Golfers looking to plan a group getaway around the stunning courses in the Highlands. When you stay at the Palace you will enjoy access to great golf courses plus the benefits of a fabulous view of Inverness Castle and it’s only a short stroll into the vibrant capital of the Highlands. Just to show you how easy it is to include a visit ti the Highlands on your trip to wither the British or Scottish Open we have included a link to train line. The shortest train is under 3 hours from Inverness to Carnoustie. It really is that easy to add on to your golfing break and not only watch the pros but enjoy a round yourself. We have prepared a short list of some fantastic local courses and partner courses for you to challenge your golfing game. Royal Dornoch Golf Club, an outstanding links Championship course of the highest order set in beautiful surroundings. Moray Golf Club ( Moray Old), has a classic links layout with deep bunkers. Here you will be thoroughly tested in every aspect of your game. Nairn Golf Club, a challenging scenic links course with stunning views of soft rolling hills & Highland peaks. 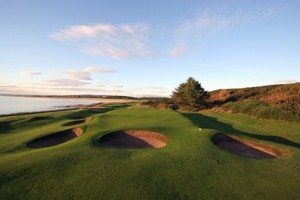 Castle Stuart Golf Course this links offers a golfing experience that captures the mind and tests every element in your golfing armory and has previously hosted the Scottish Open. 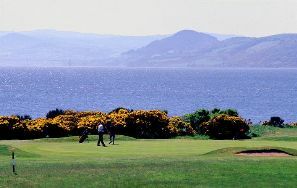 Tain Golf Club, a beautiful scenic links course with the sea on one side and mountains on the other. This course benefits from sheltered location allowing golf all year round. Nairn Dunbar Golf Club, this links course is another must for golf enthusiasts and a gem on the Highland Coast of the Moray Firth. 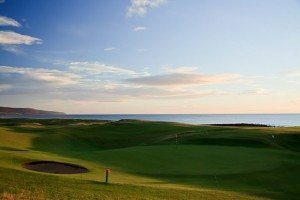 Brora Golf Club, this links course has a profusion of gorse, thyme and juniper growing with the sounds and sight of the sea greeting you on every tee. Speyside: Granton on Spey, Boat of Garten, Carrbridge, Abernethy& Craggan. Book your golfing getaway to the Highlands with a stay at the Best Western Inverness Palace Hotel & Spa. You can make the Palace your base for your Group Golfing Break and you can link here to the Group Golf Package for Golfers looking to plan a group getaway around the stunning courses in the Highlands. 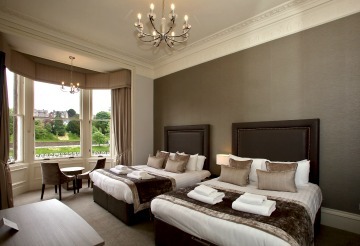 Look forward to a warm welcome, we are ideally located on the banks of the River Ness, opposite the castle. 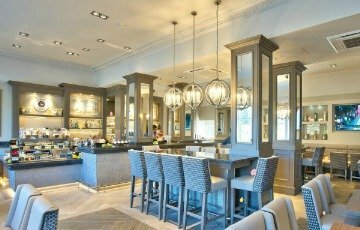 Make sure to dine and sip your favourite tipple in the NEW Brasserie and Bar. Enjoy car parking, free Wi-Fi and don’t forget the lovely leisure club. Remember #bookdirect for your best offers. Call our reservations team on 01463 22 32 43 or email us at Palace. We look forward to welcoming you soon! The Inverness Palace Hotel is a perfect place to relax after a challenging round on the course, take a dip in the swimming pool. book a massage in the Spa or relax those muscles in the sauna. 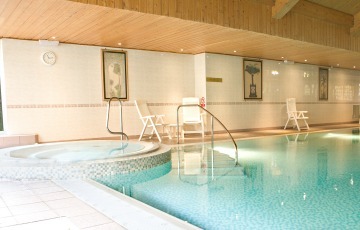 All of our guests enjoy free access to our Luxury Leisure club. Add a little luxury to your golfing getaway and book a Luxury Castle and River View Room. Wake up each morning to a fabulous view and enjoy the beautifully lit Inverness Castle and the Bridge as you draw your curtains in the evening.